When I first started working at the Springs, I used to harvest the Water Cress to put in my juicer. 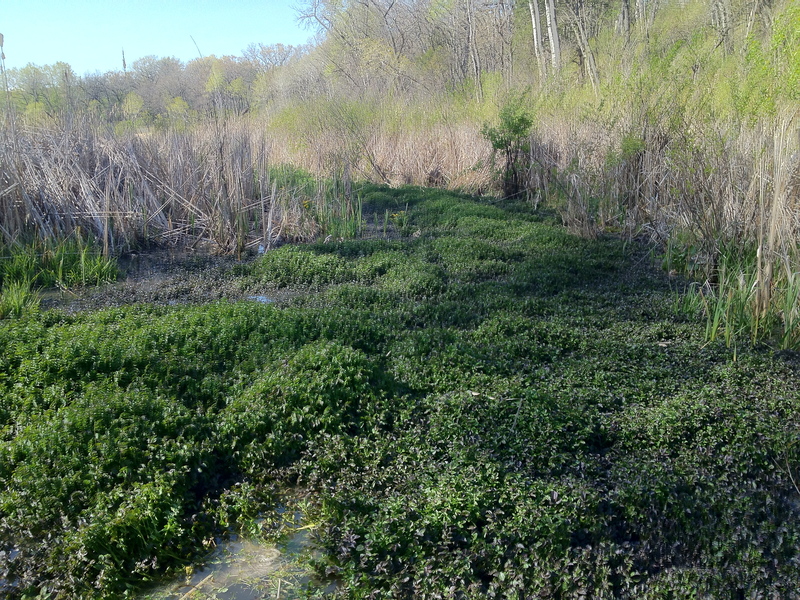 That was before Don Dane and Tim Peters, from the DNR, explained that the cress was an invasive species and detrimental to the health of the Scuppernong River. As you can see below, it was pretty darn thick. Don and Tim explained that the cress was slowing down the water flow allowing the water to warm up, which is not good for the native brook trout. It’s pretty tough to swim through a water cress dam! 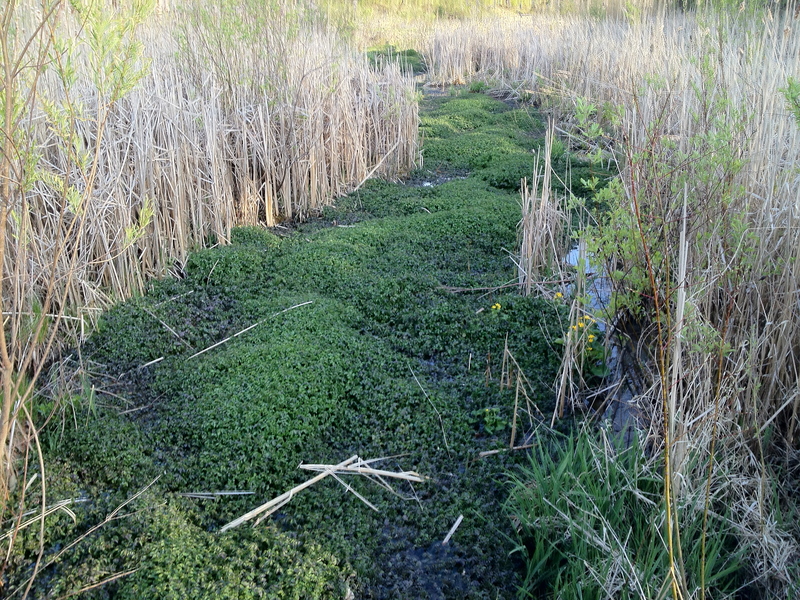 The cress caused the water level to rise and spill over the boundaries of the river bed creating more of a marsh than would normally be there. Armed with this understanding, Lindsay and I have been pulling water cress from the river since late March and now the river is flowing fast and free again. The water level has fallen by at least 8″ and the river has settled back into its original bed. In the process we “discovered” numerous feeder springs that were also completely choked with water cress. So instead of flowing directly into the river, the water was absorbed into the hillside. Here are a few examples of feeder springs that we opened up. We are brush cutting the phragmites and canary reed grass (invasive species) that line the river and planning strategies to eliminate them. 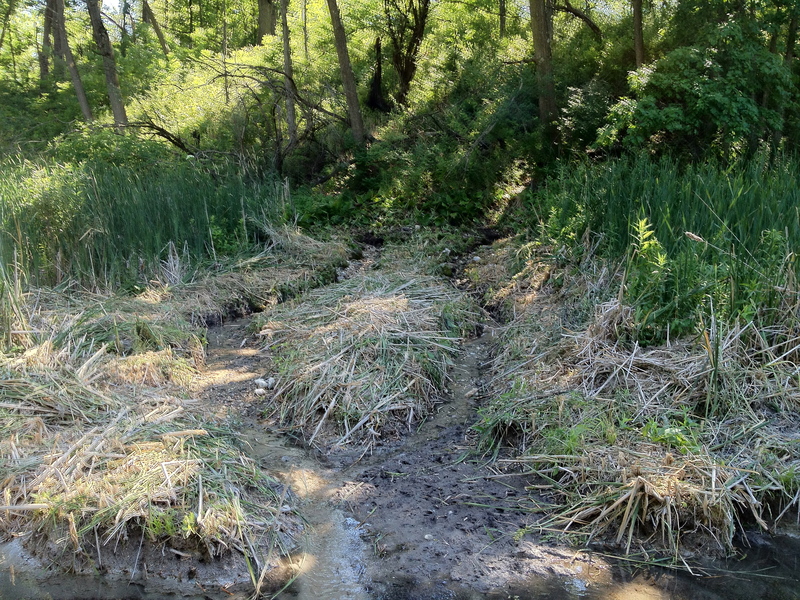 The goal is to restore the headwaters of the Scuppernong River to a cold, fast-flowing stream that will attract fish and create a more natural setting for native wetland plants. This entry was posted in Scuppernong River, Scuppernong Springs, Water Cress and tagged Kettle Moraine State Forest, Kettle Moraine Trails, Scuppernong River, Scuppernong Springs, SouthEastern Wisconsin Hiking Trails, Water Cress by paulmozina. Bookmark the permalink. 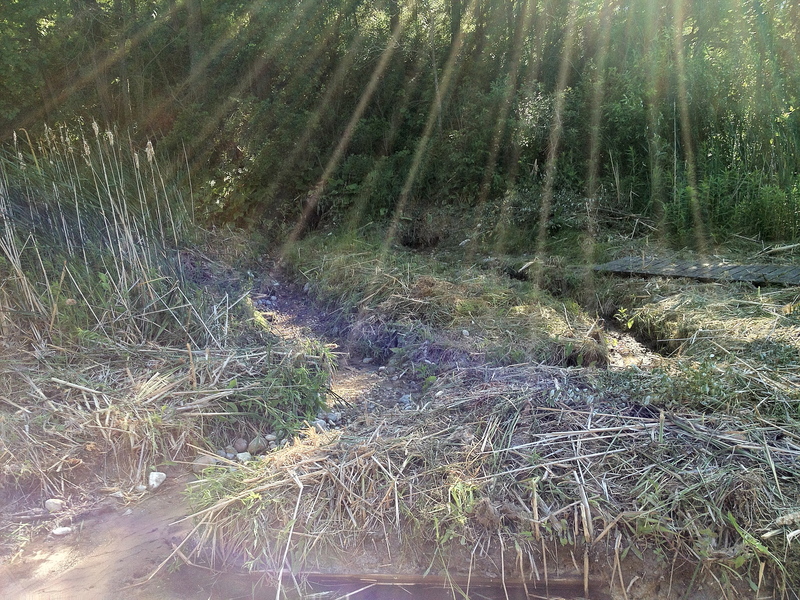 These Springs are called the “Hillside Springs” per the Scuppernong River Nature Trail Guide/Brochure.